Every October, I embark on a challenge—something that pushes me out of my comfort zone. It started with training for a half-marathon, then trying a 21-day cleanse, taking French lessons, and this year, I’m challenging myself to write a thank you note every day in October to 31 different people. My friend Jaya inspired me to make a list of 10 things every day I’m grateful for and during our morning dog walks, Brendan and I share our lists. It helps to start the day remembering what’s good in my life, like having access to clean water and organic food and silly things like when my Labrador is happy to go for a walk. So, I’ve made a list of people who I want to thank for being part of my life because I am really lucky to have great friends and family. In my notes, I mention the Gratitude Project and ask if people are so inclined that they write a note to someone they’d like to thank. My hope is that there is a ripple effect of gratitude to many people beyond my circle. Will you join my challenge? If not for the whole month, why not spend a week emailing people who deserve your gratitude? This is a really great idea. I think I will try to send a few notes out. Thanks so much, Angie! I hope you do write to a few people. It’s actually been a lot of fun and makes me feel grateful every day. Not a bad way to start the day. I am grateful that we’ve become such good friends over the last few years. I am grateful that you married an awesome guy that we also love and are glad to have befriended too. I am grateful that you love your adorable, furry family as much as we love ours, and we can talk about the pups’ antics for hours on end. I am grateful that you’re a ridiculously good cook – and a gourmet one at that! I am grateful that you’re so crafty, because even though I am not, I like seeing what you come up with, and I feel arty by osmosis. 🙂 I am grateful that you remind me that I’m a writer too, and keep me feeling creative with the interviews you share, guidance and tips for writers, and your thoughts and feelings about being a professional writer. I am grateful that you have drawn attention to the fact that minorities are underrepresented in literature, and that you’re doing something about it. I am grateful that you’re a strong, independent, female entrepreneur, a model of a modern woman, and a great model for me. I am grateful that you and Brendan have welcomed into your beautiful home, and into your lives. You’re both the best! Thank you so much, Jaya. Your response was the most beautiful thing to read today. I’m so grateful that we’ve become friends. I remember when we first met we couldn’t stop talking! I am grateful that I’m back in LA so we’re in the same city. 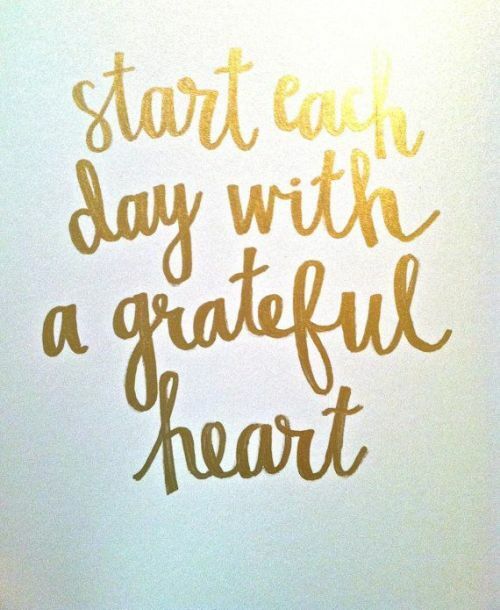 I’m grateful that you’ve introduced me to new things like a daily gratitude list! It’s changed my mornings to always appreciate what I have versus waking up and feeling drained. You’re such a wonderful friend! Thank you. PS. You might get your own note in the mail! I love the idea of making a list and sharing it with your spouse. For me, as someone who’s been in a relationship for a while, there come times when you just assume you know what the other person is thinking. This list sharing is a good way to overcome that often-incorrect assumption. Ben, I highly suggest trying it when you guys are walking the dog. Since we walk our dogs every morning, it gives us a chance to share every morning and start the day feeling great. Hope you guys enjoy!